Your business is very important and I do everything possible to make your Real Estate haves-and wants- a reality. Where you are buying or selling you can count on me to help. Call or email me and get started today to Achieve your Real Estate goals! Licensed in Arizona and California. I confirm that I worked with Carrie Miller in the buying or selling of this property. 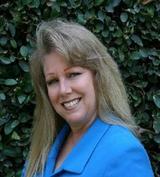 - I have sold and purchased homes and worked with different realtors in the past. And then I met and worked with Carrie. This woman stands alone when it comes to realtors. She is highly knowledgeable. She knows the home she is selling, the area, and the market. I purchased a second home from her and could not be there for some minor repairs. She let the construction workers in and reported back to me. I've never had a realtor do so much to help me. I can not say enough good things about her. Thank you Carrie!! - We would highly recommend Carrie as an agent. She worked very hard for us on finding us a home. Once she knew the quality and area we preferred she found us the best home we could buy. It really fits our family. She was very determined and we are happy we worked with her. Thx. Again.